As Masader is now one of the leading suppliers of all disposable items, our products are now registered with trademark known as Crystal Plast ©. Crystal Plast © offers a line of food and drink packaging for the takeaway, home delivery, retail food service or food manufacturing markets. The range that we provide includes Paper Cups, Clear Cups, Disposable Cutlery, Food Containers, Napkins, Disposable Plates, cardboard boxes for snacks and much more. We stock a substantial range of quality products, which are shown in our website. If specialized items you need are not shown, please contact us as we may already stock it, or can custom make it for you. Masader Investment Company is a leading supplier of quality food and drink packaging disposable products made from paper, plastic, or foam, all at competitive prices. 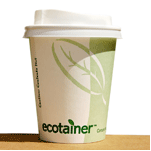 Our disposable products cover a huge range of everyday items used throughout professional catering businesses. Whether you are a wholesaler, or are dedicated to the takeaway, home delivery, retail foodservice, or food manufacturing markets, we provide you with quality products that will enhance your presentation. At Masader, we can provide you with customized solutions to fit your every day packaging needs. Please note that a minimum order quantity may be required on such orders. we can provide you with multi-color promotional printing with your own design or logo on all plastic, paper products from our standard stock range. Lids can also be embossed. We mainly supply companies in the Industrial, Catering and Retail industries delivering daily to; Butchers, Bakers, Fishmongers, Sandwich Shops, Restaurants, Café’s, Takeaways, Dentists, Pharmaceutical companies and many more. For all initial enquiries, please contact us between 8.00am and 5.00pm Sunday to Thursday. You may also fax or e-mail orders and enquiries 24 hours a day.